Routledge, Marie. "Agnes Nanogak". The Canadian Encyclopedia, 09 November 2016, Historica Canada. https://www.thecanadianencyclopedia.ca/en/article/agnes-nanogak. Accessed 24 April 2019. 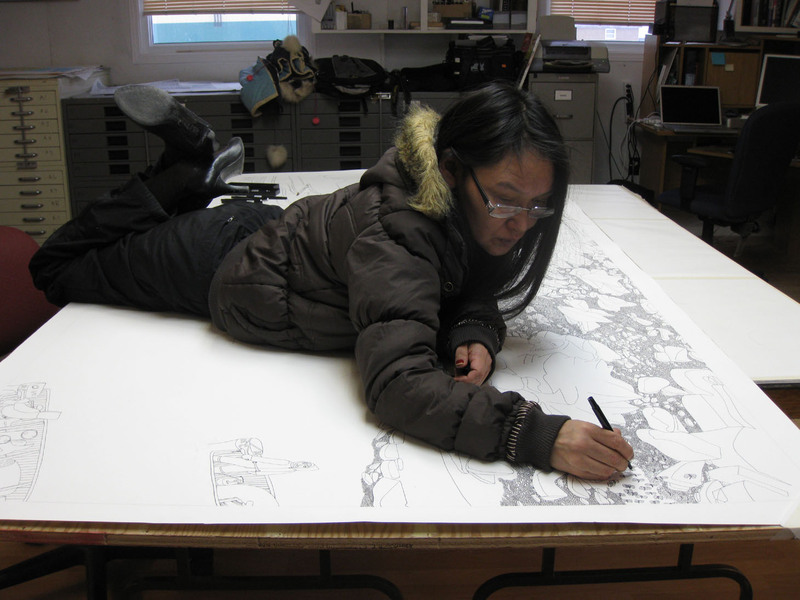 Agnes Nanogak, graphic artist (b on Baillie Island, NWT 12 Nov 1925, d at Holman [Ulukhaktok], Northwest Territories 5 May 2005). Known for her energetic and colourful depictions of traditional Inuit myths and legends, Nanogak was a prominent contributor to every print collection published by the Holman artists' co-operative since 1967. Daughter of William Natkutsiak (Billy Banksland), who came from Alaska to the Canadian Arctic with the explorer Vilhjalmur Stefansson, since 1937 Agnes Nanogak made her home in Holman, NWT, where she married William Goose, raised a large family and developed her artistic career. 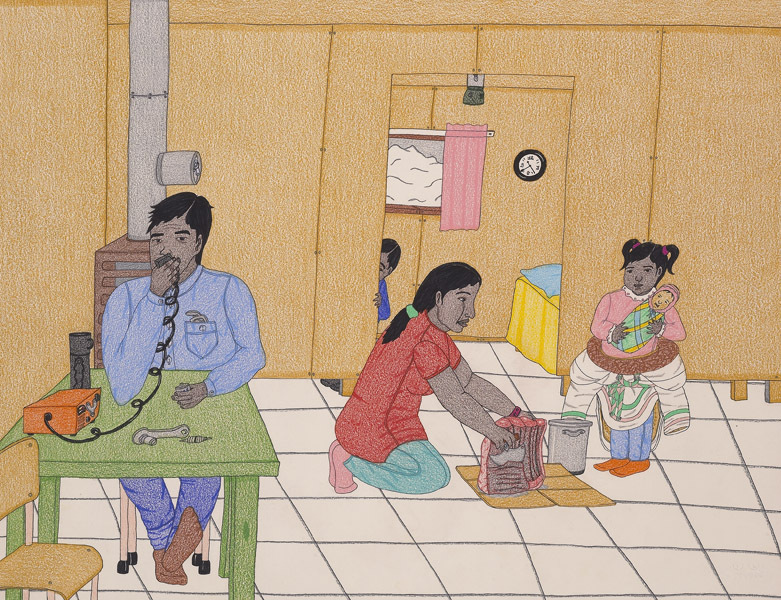 Her narrative prints and drawings evoked a rich variety of stories reflecting the Alaskan roots of her father and the Mackenzie Delta/Copper Eskimo culture of her mother and husband. Agnes Nanogak illustrated 2 books of Inuit stories, Tales from the Igloo, edited and translated by Maurice Metayer (1972), and More Tales from the Igloo, which she also wrote (1986). In 1985 she received an honorary degree from Mount Saint Vincent University in Halifax.